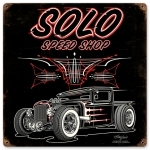 This little Speed Shop, located “Way Up In The Valley” - is a one stop shop for all your Traditional Hot Rod needs. Every shop has it's hauler, and this is the truck that gets the goodies, speed parts and PBR. 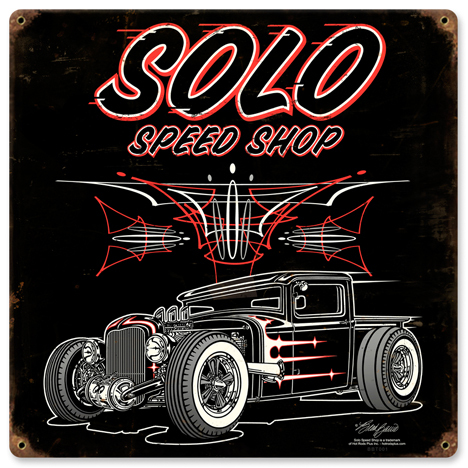 This design features a very cool traditional Model A Ford truck; chopped & channeled, black swede, magnesium Americans, wide whites, and a set of custom scallops to really set it off.